A Sampling of objects I have built. A bookshelf and podium I built for the multi-faith club at Quest University Canada. In progress photo of a mass heater conversion. I buried a wood stove in cob so that the heat from a fire will release slowly over many hours, even after the fire burns out. During the four years I spent care taking the wood shop at Quest, I loved making even the simple things look good and function well. 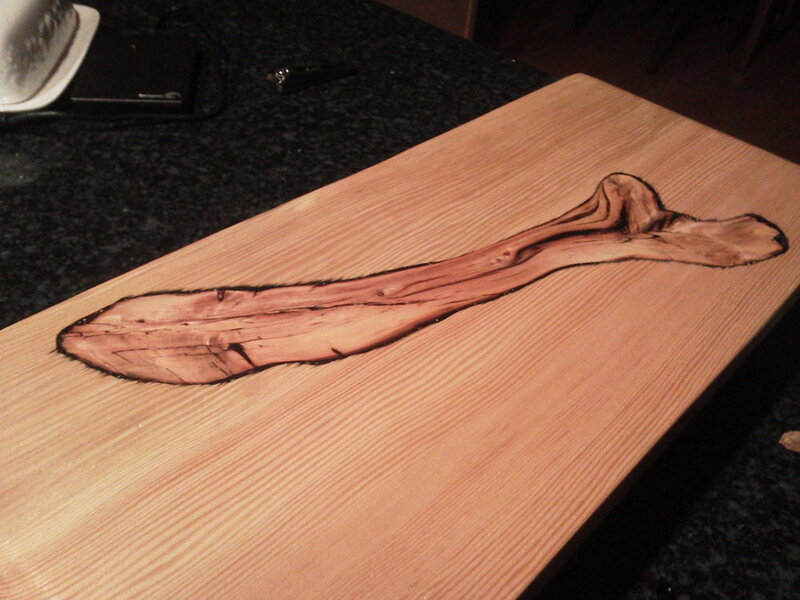 A cutting board I made while experimenting with colored epoxy resins. The inlayed driftwood piece is set in black resin, highlighting and filling the cracks. Next time I have an idea to stop the color bleeding! Two of four movable gallery display walls I made with a friend. A cedar cabinet I made, with cherry branch handles. Several of the book stands at Quest University Library. I led a workshop in partnership with the library and the re-use-it center teaching introductory woodworking, and these are what we made.